How to convert MTS to MKV on Mac? I recently got one Sony HDR-XR200V Camcorder I want to convert the files from m2ts to MKV I have SONY Vegas but MKV Vegas isn't there. I basically want to convert m2ts file into a more common video formats, how to do? AVCHD (MTS/M2TS) is a format for the recording and playback of high definition video, created specifically for high-definition (HD) digital camcorders such as Sony, Canon, Panasonic and JVC. However, MTS can’t be played and edited on Mac before a conversion to Mac acceptable format. MKV is an open standard free container format, a file format that can hold an unlimited number of video, audio, picture or subtitle tracks inside a single file. It is one of the most popular video formats which is said to replace AVI. The article here would employ a professional iFuniaVideo Converter for Mac to do the job, for finishing the Mac conversion successfully and efficiently. Launch iFunia Video Converter for Mac and the window below will pops up. Import the MTS/M2TS files which you want to convert by clicking “Add Files” button. It’s easy to import files. Just drag the MTS or M2TS files that you’d like to convert and drop it to the main interface of the app. Alternatively, you can click the Media Browser icon at the upper right corner to import files from Folder, iTunes and Device. You may add as many MTS videos as you want for MTS to MKV batch conversion. Tip: You can add your AVCHD MTS video by drag-n-drop. And the software has a feature of previewing and playing your AVCHD video files. Simply select a file which you want to preview in the Source File area and click Play button, you can also take snapshot at will to store the image you like. Step 2: Set the output format as MKV and set other settings as you like. 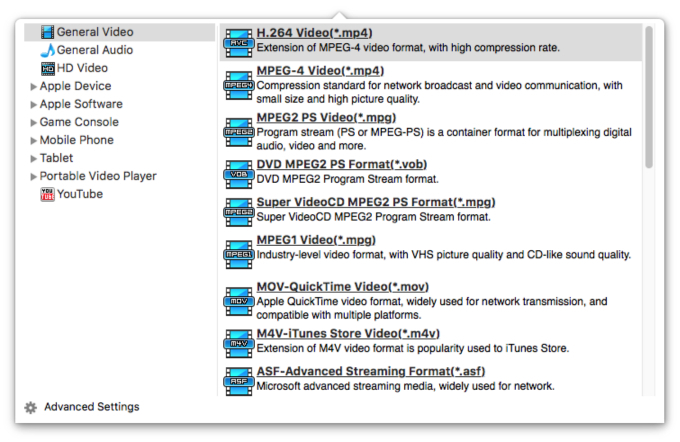 After you added MTS files, you can select MKV as the output format for each video file. You can change the output settings as you need. This video converter developed by iFunia also supports many other input and output formats. Take MTS to MP4 for example, if you need to convert MTS to MP4, you can select MP4 as the output video format. Remember that the output file size mostly depends on the Bitrate you set. Larger Bitrate, larger file size. Now you may click the conversion button to begin converting AVCHD MTS to MKV video. This smart Mac MTS to MKV Converter can automatically switch off the computer when the conversion is done, so you don't need to wait around during the conversion. The encoding time will depend on several variables including: the duration of the video file, the speed of your computer, what other activity your computer is currently doing and the bitrate you set.